Bought a Rug Doctor machine? Fill in your details, select your model, and answer a few simple questions to register for your Guarantee. Please complete all fields to submit your form. Once you have submitted it, your details will be sent to Rug Doctor for processing. Two (2) year limited warranty for domestic use only. 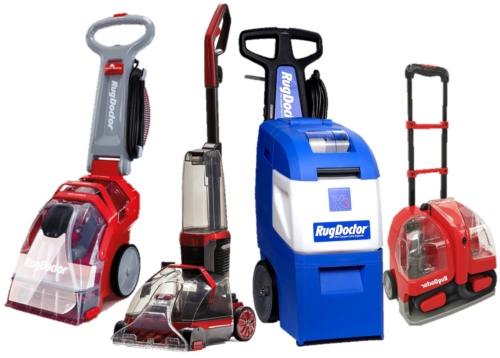 All the Deep Carpet Cleaner guarantee terms shall apply in all respects for the original purchaser of a Rug Doctor Deep Carpet Cleaner. Warranties are liable for delivery costs after 30 days. Two (2) year limited warranty. All the Flex Clean guarantee terms shall apply in all respects for the original purchaser of a Rug Doctor Flex Clean. Warranties are liable for delivery costs after 30 days. Two (2) year limited warranty for domestic use only. All the Portable Spot Cleaner guarantee terms shall apply in all respects for the original purchaser of a Rug Doctor Portable Spot Cleaner. Warranties are liable for delivery costs after 30 days. One (1) year limited warranty for commercial and domestic use. All the Quick Dry guarantee terms shall apply in all respects for the original purchaser of a Rug Doctor Quick Dry. Warranties are liable for delivery costs after 30 days. One (1) year limited warranty for commercial use, and five (5) year limited warranty for domestic use. All the X3 guarantee terms shall apply in all respects for the original purchaser of a Rug Doctor X3. Warranties are liable for delivery costs after 30 days. Limited one (1) year warranty for commercial and domestic use. All the X3 Pro guarantee terms shall apply in all respects for the original purchaser of a Rug Doctor X3 Pro. Warranties are liable for delivery costs after 30 days. Where did you purchase your Rug Doctor machine? How did you become aware of Rug Doctor? Have You rented a Rug Doctor before? Did you visit our website before making your purchase? Which factor most influenced your purchase? How many of your rooms have fitted carpet?